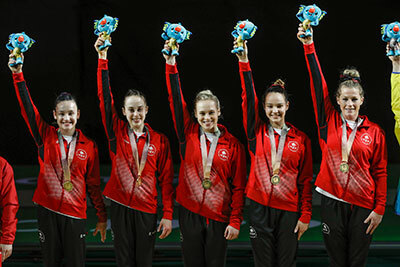 Gymnastics Canada Release - GOLD COAST, AUS (April 6, 2018) – The Canadian women’s artistic gymnastics team rewrote the history books on Friday at the 2018 Commonwealth Games taking home the gold medal in the team event for the first time in 28 years. The gold was also sweet vindication for their disappointing fourth place finish at the 2014 edition of the Games. Full release available here.